Last week, Autoblog’s review of the 2010 Lexus HS250h was halfway to scathing. 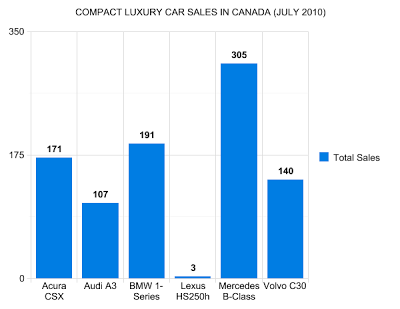 In that light, should we be surprised to see Toyota Canada only sold three Lexus HS hybrids in July 2010? Well, actually, we should be a little surprised. Lexus sold 63 the month before, 59 in May, 92 in April, and 73 in March. Is there another explanation besides the HS’s horrible ugliness starting, relatively underwhelming fuel efficiency, mildly anemic powertrain, and bloated base price? 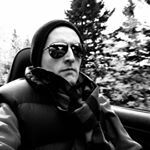 Did Lexus fail to notify GoodCarBadCar.net that they’d stopped importing the HS250h? Hmm? 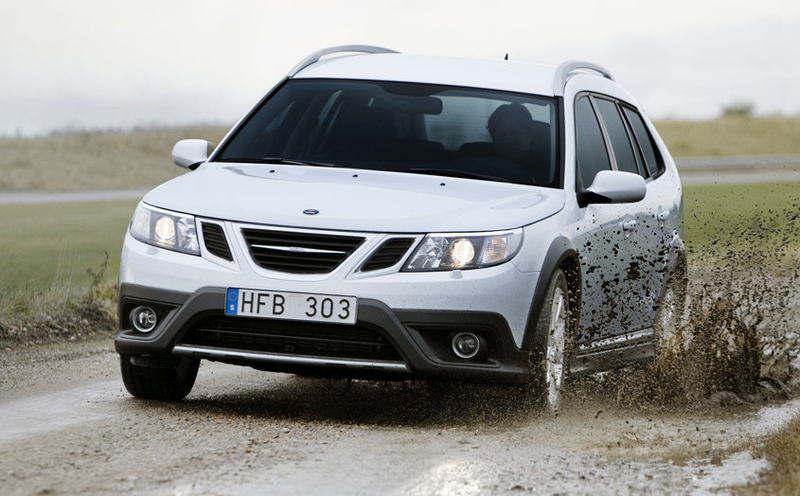 Imagine Saab’s return to the Canadian market brought about 184 sales of the 9-3 in July. Then, combine the 9-3’s sales with those of the Volvo S40 and V50, as well as the Acura TSX, Cadillac CTS, Lexus IS, and Lincoln MKZ. BMW’s 3-Series would still be more successful. And guess what? Saab ain’t about to sell 184 9-3s a month in Canada. Saab Canada sold 627 in Canada in 2009. 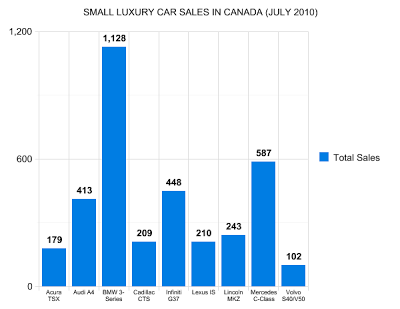 The Graphs below record July 2010 sales volume of every small luxury car.